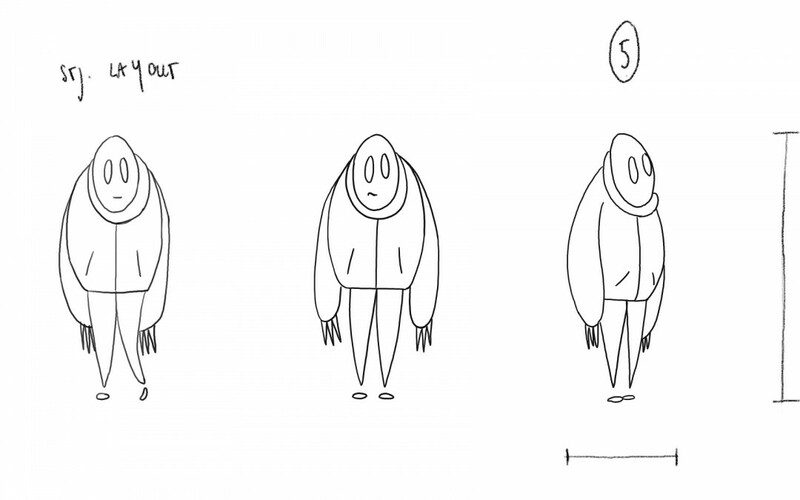 The Process is an animated short about the process of animation as it’s taught in universities and art schools. It follows the path from the idea, or the concept that we are working on, through layout, storyboard, and scenario up to the final product – the film. The Process is divided into three parts that differ visually and in sound and music. The first part is about the creation of the idea, or the writing of a story from which the movie is to evolve. The plot follows a character that wakes up one morning as a letter in a word document. As soon as he becomes aware of himself as an animated character, his transformations start. Finally, after the mash of layouts, once the exporting takes place, the character goes through immense stress and panic.